Intel has a pretty good handle on the PC and laptop market, trumping its main competitor, AMD, in everything but the most budget categories. However, it looks like Intel can’t seem to put that winning mentality to work when it comes to the smartphone and tablet markets. The company doesn’t seem keen to do itself any favors in the near future either, as Intel CEO Paul Otellini has stated that it won’t have an integrated LTE modem and application processor available until 2014. If Intel is looking to catch up to the likes of Qualcomm, then this is not the best start to 2013. For those a little curious about what exactly an LTE integrated processor is, LTE is the communication technology used in high speed data transfers over wireless networks, also known as 4G. Simply put, LTE mobile phone processors contain integrated modems as well as application processor capability. In other words, integrated LTE processors perform the required signal processing so that your handset can interpret the data received over the network, be it a webpage, phone call or text message, as well as mange the operating system, memory allocation, and all the other important stuff. Intel has long been dragging its heals behind the likes of ARM and Qualcomm when it comes to market share, so you wouldn’t have thought that it would risk being late to the party again, when it comes to releasing important new technologies. This leaves Intel in a tricky situation, as Qualcomm’s latest Snapdragon application processors already come shipped with built-in LTE capabilities. Even more worryingly for Intel, smaller companies like ST-Ericsson NV and Renesas Mobile also have their own LTE chips already available in the marketplace. Hmm, well we’ll see if Intel’s quality engineering can overcome the initial time setback. Intel plans to ship out data-only versions of its LTE modem integrated circuits first, followed by data and voice capable chips sometime during 2013. But they won’t be appearing in handsets until 2014. 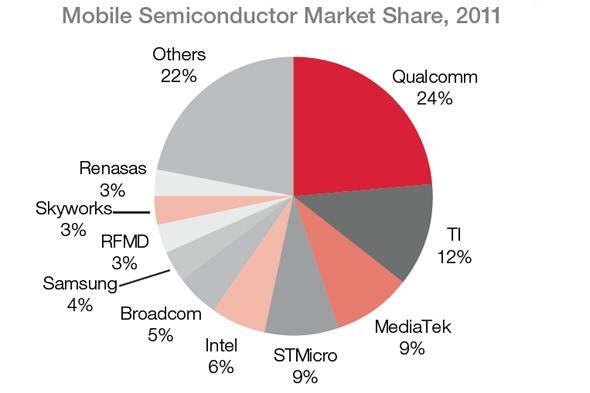 So does this spell another year lagging being its competitors in the smartphone and tablet markets? Well unless Intel’s processors arrive with some blistering performance improvements or handy manufacturing features, then I’m inclined to say yes.